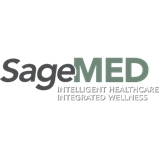 SageMED (Bellevue) - Book Appointment Online! Integrated medicine is an innovative approach to providing comprehensive medical care. It involves working with a health care team to provide specialized and complimentary therapies to patients. A collaborative contribution of both traditional and complementary practitioners at our Bellevue medical center provides services that are derived from a common philosophy in patient care. If you're looking for a primary care doctor or acupuncturist in Bellevue, Dr. Ochi is taking new patients.